For years you’ve been creating high performing content for your site, but what if that content has been sitting there too long and it starts gathering dust? Will it start to become irrelevant and have a negative impact on your SEO? This post will show you how to refresh or repurpose your content and create content that is evergreen (or unlikely to out-date). Outdated and low quality content triggers Google penalties and creates other problems which can affect your search rankings. Wasted crawls: the more content you have, the more pages Google’s crawlers have to review. This means the crawlers may be wasting time reviewing your old and outdated content rather than your new and fresh content. Consequently, your high performing content has less crawl cycles, so those pages have less of a positive impact on your SEO. Poor engagement: if a user ends up on an outdated or irrelevant page, it is not likely they will stay there very long. This causes high bounce rates and short visiting times, which tells Google that visitors are not liking your content. This negatively affects your SEO as Google will bring down your ranking. One attempt to help alleviate this problem is to simply remove old content. However, an older domain age is an important factor in determining Google’s rankings. So instead of removing a page with an old domain age, a better option might be to repurpose or refresh the content to make it more current and relevant. Old content can be recycled into something valuable again. For example, an old article on how to use Pinterest can be refurbished into a more useful guide such as “How to perfect your Pinterest page.” It is also important to ensure dates and trends included in posts are current. For example, for a post that talks about a new trend in 2018 (e.g. Hyperlocal search), wording can be adjusted to suggest that the trend is not so new but still relevant. Additionally, data should be kept current – info-graphics and graphs may need to be updated over time. This article discusses different forms of Digital PR and how they impact SEO such as blogger outreach, online press releases, social media marketing, YouTube for SEO and online reputation management. However, a more current and relevant form of digital PR would be the use of “Instagram Influencers”. A brief discussion of Instagram Influencers can refurbish the post. Repurposing content can be as simple as changing the format – how and where it is published. For example, an old blog post can be transformed into a webinar. Transform the information into a slideshow and present it online in real time. This format can then be transformed again into a video tutorial, for those who didn’t attend the webinar. Another successful format change would be to transfer statistics from your blog post, to twitter posts. Your article may contain some solid statistics and interesting data points. In order to get more leverage from these statistics, you can turn them into individual tweets. The ultimate way to stay relevant is to generate content that will never get old in the first place. Evergreen content is relevant for a long period of time and maintains a high position on Google for months or even years after it is published. So how do you make your articles evergreen? Firstly, ensure your article content will remain relevant over time. For example, an article explaining the arrival of Google shopping has passed its use-by date, whereas an article providing practical advice on how to utilize Google shopping and boost Search Engine Marketing will be relevant now and in the future. Topics that are interesting, useful and address a need are more likely to stay evergreen and be successful. Case study: SEO image optimisation to increase page delivery speed. Through looking at Google Analytics and Google Search Console I have discovered that this post from seomelbourne.com is lacking views and clicks, so I have looked into why this may be the case and what I can do to refresh or repurpose the content. The article mentions Google’s announcement of shifting focus to a mobile-first indexing system. The announcement was made in November 2016 and is no longer current. The article should be refreshed by referring to Google’s announcement in a way that suggests it is not recent. The article can also be repurposed to explain how to enhance mobile optimization. This helps the article to become more evergreen as it is practical and addresses a need, rather than a current trend. It is also important to establish the difference between a fad and a revolution. Is the article based on the latest trend (such as Kombucha) or does it revolve around a game changing innovation or disruptive technology, such as the Internet. Sometimes this distinction is not so clear-cut: is an article on Bitcoin merely a fad or will it stay relevant? Once the topic is evergreen, it should be accompanied by a compelling headline. This is not a click-bait headline, but one that is descriptive and accurately reflects the content of the article. Similarly, the URL should accurately reflect the article content. This is another example of a post which lacks clicks and views. This may be because the headline is broad, not descriptive and does not reflect the content of the article. In order to make this post more evergreen, we need to change the topic to something more relevant such as “improve your website with organic link building”. Your article must also be readable. Large chunks of text are daunting and hard to read. On the other hand, an image heavy post can lack quality information. Therefore, a happy medium between the two is ideal. An effective way to combine text and image is through an info-graphic. This article lacks quality and quantity of information as it only includes one example of WordPress template hacks. This effects the underlying value of the post and therefore its ability to be evergreen. Most importantly, the article must be written with SEO in mind. Optimised headlines, internal linking, keywords in title tags and URLs – all that jazz. A great way to monitor whether you have evergreen content is through Google Analytics and Google Search Console. From here you can see which pages are lacking views and clicks. 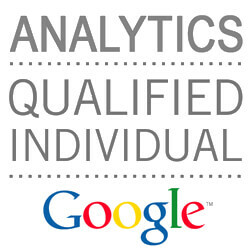 For more information on Google Analytics, see the video below. 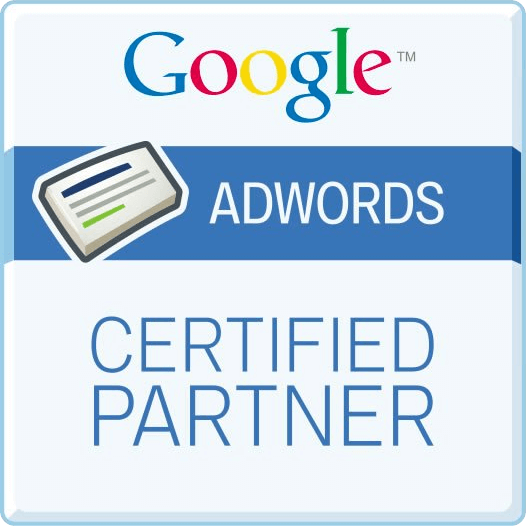 If you need help with SEO optimisation, Google Analytics or Google Search Console, contact us on (03) 9013 4544.